Color block clothing is one of the most definitive fashion styles in today’s world of vogue. The patterns are fun yet elegant for an easy going combination that makes you look friendly and approachable. Color block clothing is the perfect way to make a fashion statement just about anywhere you go. 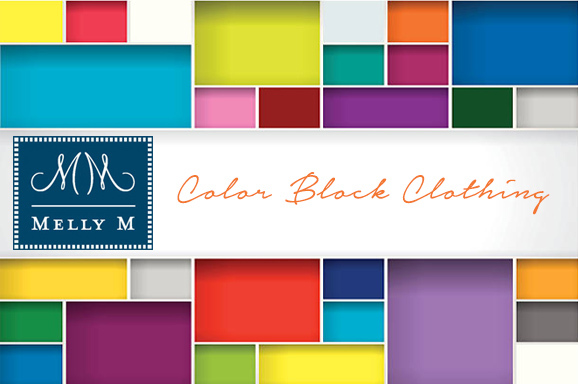 When you buy color block clothing from Melly M you are choosing well-fitted items that will grab the attention of anyone you walk by with their magnetic color combinations and then awe them with the quality of the fabrics and materials you are wearing. Melly M has become a reputable and admired provider of high-end women’s wear for a multitude of applications. We provide our customers with unique, flirty designs and highly durable materials. Check out our comprehensive sizing chart to ensure that no matter what item you purchase from our site it will fit you as well as you can imagine. Contact us today with any questions regarding our color block clothing, golf wear, or any other items on our site.